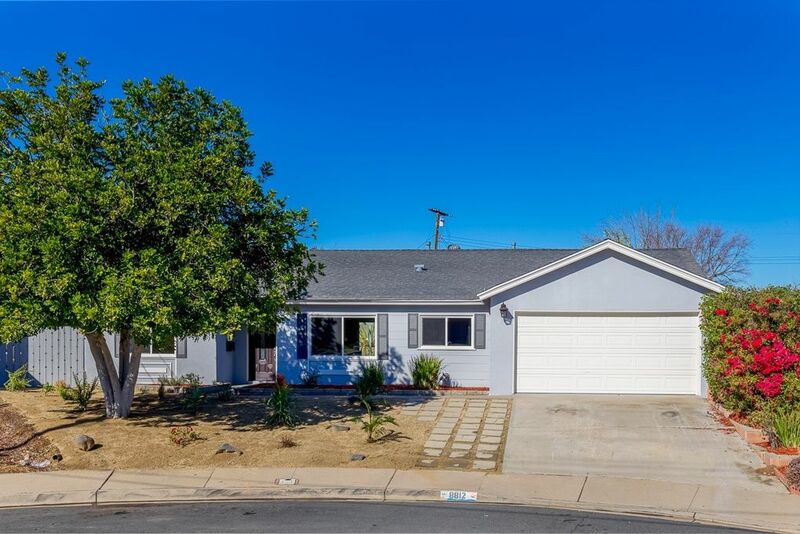 Open-Concept Newly Remodeled home in a quiet neighborhood of Santee. This home is in a "Cul De Sac" with No HOA, NO Mello Roos, and has a private large yard. This Gorgeous home is complete with a New Kitchen with S.S. Appliances, Quartz Counter-Top and Eat-in Breakfast Bar. All New designer Baths, Recessed Lighting, Ceiling Fans throughout, New Flooring, Dual Pane Windows, and AC in the home! Landscaping has drip irrigation, Potential RV parking.